The study of mathematics in the West has long been characterized by a certain ethnocentric bias, a bias which most often manifests not in explicit racism, but in a tendency toward undermining or eliding the real contributions made by non-Western civilizations. The debt owed by the West to other civilizations, and to India in particular, go back to the earliest epoch of the "Western" scientific tradition, the age of the classical Greeks, and continued up until the dawn of the modern era, the renaissance, when Europe was awakening from its dark ages. This awakening was in part made possible by the rediscovery of mathematics and other sciences and technologies through the medium of the Arabs, who transmitted to Europe both their own lost heritage as well as the advanced mathematical traditions formulated in India. Due to the legacy of colonialism, the exploitation of which was ideologically justified through a doctrine of racial superiority, the contributions of non-European civilizations were often ignored, or, as Joseph argued, even distorted, in that they were often misattributed as European, i.e. Greek, contributions, and when their contributions were so great as to resist such treatment, they were typically devalued, considered inferior or irrelevant to Western mathematical traditions. This tendency has not only led to the devaluation of non-Western mathematical traditions, but has distorted the history of Western mathematics as well. In so far as the contributions from non-Western civilizations are ignored, there is the problem of accounting for the development of mathematics purely within the Western cultural framework. This has led, as Sabetai Unguru has argued, toward a tendency to read more advanced mathematical concepts into the relatively simplistic geometrical formulations of Greek mathematicians such as Euclid, despite the fact that the Greeks lacked not only mathematic notation, but even the place-value system of enumeration, without which advanced mathematical calculation is impossible. Such ethnocentric revisionist history resulted in the attribution of more advanced algebraic concepts, which were actually introduced to Europe over a millennium later by the Arabs, to the Greeks. And while the contributions of the Greeks to mathematics was quite significant, the tendency of some math historians to jump from the Greeks to renaissance Europe results not only in an ethnocentric history, but an inadequate history as well, one which fails to take into account the full history of the development of modern mathematics, which is by no means a purely European development. 2. Vedic Altars and the "Pythagorean theorem"
A perfect example of this sort of misattribution involves the so-called Pythagorean theorem, the well-known theorem which was attributed to Pythagoras who lived around 500 BCE, but which was first proven in Greek sources in Euclid's Geometry, written centuries later. Despite the scarcity of evidence backing this attribution, it is not often questioned, perhaps due to the mantra-like frequency with which it is repeated. However, Seidenberg, in his 1978 article, shows that the thesis that Greece was the origin of geometric algebra was incorrect, "for geometric algebra existed in India before the classical period in Greece." (1978:323) It is now generally understood that the so-called "Pythagorean theorem" was understood in ancient India, and was in fact proved in Baudhayana's Shulva Sutra, a text dated to circa 600 BCE. (1978:323). Far more important to the development of modern mathematics than either Greek or Indian geometry was the development of the place value system of enumeration, the base ten system of calculation which uses nine numerals and zero to represent numbers ranging from the most minuscule decimal to the most inconceivably large power of ten. This system of enumeration was not developed by the Greeks, whose largest unit of enumeration was the myriad (10,000) or in China, where 10,000 was also the largest unit of enumeration until recent times. Nor was it developed by the Arabs, despite the fact that this numeral system is commonly called the Arabic numerals in Europe, where this system was first introduced by the Arabs in the thirteenth century. Rather, this system was invented in India, where it evidently was of quite ancient origin. The Yajurveda Samhitaa, one of the Vedic texts predating Euclid and the Greek mathematicians by at least a millennium, lists names for each of the units of ten up to 10 to the twelfth power (paraardha). (Subbarayappa 1970:49) Later Buddhist and Jain authors extended this list as high as the fifty-third power, far exceeding their Greek contemporaries, who lacking a system of enumeration were unable to develop abstract mathematical concepts. India is also the locus of another closely related an equally important mathematical discovery, the numeral zero. The oldest known text to use zero is a Jain text entitled the Lokavibhaaga, which has been definitely dated to Monday 25 August 458 CE. (Ifrah 2000:417-1 9) This concept, combined by the place-value system of enumeration, became the basis for a classical era renaissance in Indian mathematics. The Indian numeral system and its place value, decimal system of enumeration came to the attention of the Arabs in the seventh or eighth century, and served as the basis for the well known advancement in Arab mathematics, represented by figures such as al-Khwarizmi. It reached Europe in the twelfth century when Adelard of Bath translated al-Khwarizmi's works into Latin. (Subbarayappa 1970:49) But the Europeans were at first resistant to this system, being attached to the far less logical roman numeral system, but their eventual adoption of this system led to the scientific revolution that began to sweep Europe beginning in the thirteenth century. The world did not have to wait for the Europeans to awake from their long intellectual slumber to see the development of advanced mathematical techniques. India achieved its own scientific renaissance of sorts during its classical era, beginning roughly one thousand years before the European Renaissance. Probably the most celebrated Indian mathematicians belonging to this period was Aaryabhat.a, who was born in 476 CE. In 499, when he was only 23 years old, Aaryabhat.a wrote his Aaryabhat.iiya, a text covering both astronomy and mathematics. With regard to the former, the text is notable for its for its awareness of the relativity of motion. (See Kak p. 16) This awareness led to the astonishing suggestion that it is the Earth that rotates the Sun. He argued for the diurnal rotation of the earth, as an alternate theory to the rotation of the fixed stars and sun around the earth (Pingree 1981:18). He made this suggestion approximately one thousand years before Copernicus, evidently independently, reached the same conclusion. With regard to mathematics, one of Aaryabhat.a's greatest contributions was the calculation of sine tables, which no doubt was of great use for his astronomical calculations. In developing a way to calculate the sine of curves, rather than the cruder method of calculating chords devised by the Greeks, he thus went beyond geometry and contributed to the development of trigonometry, a development which did not occur in Europe until roughly one thousand years later, when the Europeans translated Indian influenced Arab mathematical texts. Given the astounding range of advanced mathematical concepts and techniques covered in this fifth century text, it should be of no surprise that it became extremely well known in India, judging by the large numbers of commentaries written upon it. It was studied by the Arabs in the eighth century following their conquest of Sind, and translated into Arabic, whence it influenced the development of both Arabic and European mathematical traditions. 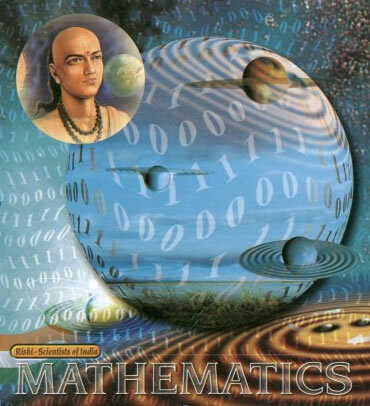 In short, he wrote a highly sophisticated mathematical text that proceeded by several centuries the development of such techniques in Europe, although it would be better to term this a rediscovery, since much of the Renaissance advances of mathematics in Europe was based upon the discovery of Arab mathematical texts, which were in turn highly influenced by these Indian traditions. This is by no means a complete list of influential Indian mathematicians or Indian contributions to mathematics, but rather a survey of the highlights of what is, judged by any fair, unbiased standard, an illustrious tradition, important both for its own internal elegance as well as its influence on the history of European mathematical traditions. The classical Indian mathematical renaissance was an important precursor to the European renaissance, and to ignore this fact is to fail to grasp the history of latter, a history which was truly multicultural, deriving its inspiration from a variety of cultural roots. There are in fact, as Frits Staal has suggested in his important (1995) article, "The Sanskrit of Science", profound similarities between the social contexts of classical India and renaissance Europe. In both cases, important revolutions in scientific thought occurred in complex, hierarchical societies in which certain elite groups were granted freedom from manual labor, and thus the opportunity to dedicate themselves to intellectual pursuits. In the case of classical India, these groups included certain brahmins as well as the Buddhist and Jain monks, while in renaissance Europe they included both the monks as well as their secular derivatives, the university scholars. Why, one might ask, did Europe's take over thousand years to attain the level of abstract mathematics achieved by Indians such as Aaryabhat.a? The answer appears to be that Europeans were trapped in the relatively simplistic and concrete geometrical mathematics developed by the Greeks. It was not until they had, via the Arabs, received, assimilated and accepted the place-value system of enumeration developed in India that they were able to free their minds from the concrete and develop more abstract systems of thought. This development thus triggered the scientific and information technology revolutions which swept Europe and, later, the world. The role played by India in the development is no mere footnote, easily and inconsequentially swept under the rug of Eurocentric bias. To do so is to distort history, and to deny India one of it's greatest contributions to world civilization. Hayashi, Takao. 1997. "Number Theory in India". In Helaine Selin, ed. Encyclopaedia of the History of Science, Technology, and Medicine in Non-Western Cultures. Boston: Kluwer Academic Publishers, pp. 784-786. Ifrah, Georges. 2000. The Universal History of Numbers: From Prehistory to the Invention of the Computer. David Bellos, E. F. Harding, Sophie Wood and Ian Monk, trans. New York: John Wiley & Sons, Inc.
Joseph, George Ghevarughese. 1987. "Foundations of Eurocentrism in Mathematics". In Race & Class 28.3, pp. 13-28. Kak, Subhash. "An Overview of Ancient Indian Science". In T. R. N. Rao and Subhash Kak, eds. Computing Science in Ancient India, pp. 6-21.
van Nooten, B. "Binary Numbers in Indian Antiquity". In T. R. N. Rao and Subhash Kak, eds. Computing Science in Ancient India, pp. 21-39. Pingree, David. Jyotih.zaastra: Astral and Mathematical Literature, Wiesbaden: Otto Harrassowitz, 1981, p. 4. Seidenberg, A. 1962. "The Ritual Origin of Geometry". In Archive for History of Exact Sciences 1, pp. 488-527. __. 1978. "The Origin of Mathematics". In Archive for History of Exact Sciences 18.4, pp. 301-42. __. 1983. "The Geometry of Vedic Rituals". In Frits Staal, ed. Agni: The Vedic Ritual of the Fire Altar. Delhi: Motilal Banarsidass, 1986, vol. 2, pp. 95-126. Unguru, Sabetai. 1975. "On the Need to Rewrite the History of Greek Mathematics". In Archive for History of Exact Sciences 15.1, pp. 67-114. Staal, Frits. 1995. 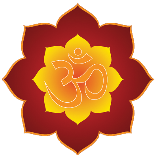 "The Sanskrit of Science". In Journal of Indian Philosophy 23, pp. 73-127. Subbarayappa, B. V. 1970. "India's Contributions to the History of Science". In Lokesh Chandra, et al., eds. India's Contribution to World Thought and Culture. Madras: Vivekananda Rock Memorial Committee, pp. 47-66.